Create a relaxed atmosphere. This is especially true when you group plants that have a softening effect, such as large grasses. This aesthetic works at any scale, from an intimate courtyard garden to a grand estate landscape. Make an unobtrusive backdrop for featured plants, hide undesirable views, or soften the front of a fence or building. Consider a hedgerow of large grasses as a more casual alternative to a formal clipped hedge. At the edge of a patio or walkway, employ mass plantings to define space and create a clean look. Formal or informal, the grouped plants provide structure and a place for the eye to stop before a more complex planting. Use informal mass plantings to set off focal features such as statuary, a water feature, or a colorful arrangement of more ornamental plantings and flowers. Ready to add a mass planting to your landscape? 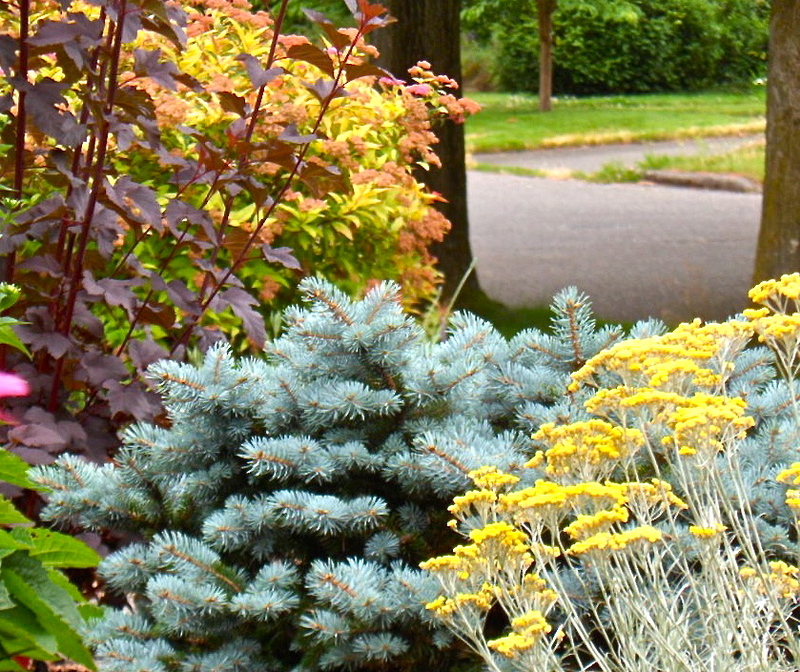 Contact us for design consultation and to learn more about the best plants for your Pacific Northwest garden.